Let our staff at SERVPRO of Barron, Dunn, and Rusk Counties help you develop a plan ahead of time, so you are prepared when an emergency arises. Give us a call at 715-643-7171 to see how we can get an emergency plan in place for you! Barron County Emergency Ready Program? You ask what our Emergency Ready Program is here at SERVPRO of Barron, Dunn, & Rusk Counties? It is just that, are you ready at your place of business for an emergency? One day it can be raining cats & dogs, the next snowing and sleeting and now this weekend it is supposed to be nearing 70 degrees. That is the beauty of Wisconsin this time of year but are you ready for spring time weather and storm prepared. Luckily at SERVPRO of Barron, Dunn, & Rusk Counties we are ready. Whether it is heavy winds that damage a roof we can be there 24 hours a day 7 days a week to provide a emergency board up situation to prevent further damage to your home. Do you have flooding in your basement due to heavy rain falls, luckily for you we have trained and certified technicians that will properly remove that water for you and dry out your home correctly with state of the art drying and dehumidification equipment. Whatever storm conditions your home or business may encounter during this unpredictable time of year, we have you covered. Give us a call at 715-643-7171 for assistance. 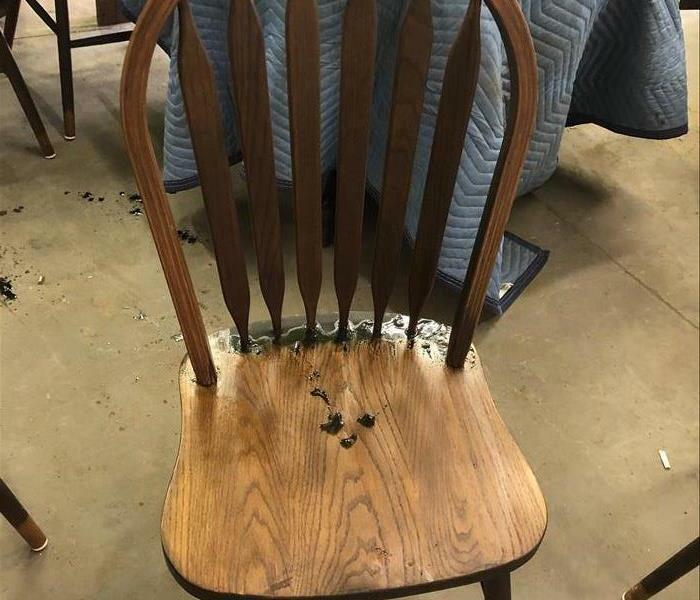 This chair half cleaned now doesn't need replacing! If you have a fire in your home or business most of the time it isn't a complete loss. At SERVPRO of Barron, Dunn, & Rusk Counties our theory is restore versus replace, which saves you the customer money. Also by using this theory we have saved some very precious items of our customers that are irreplaceable such as pictures, documents, family heirlooms, and just simple things such as a child's favorite stuffed animal. Our contents cleaning can involve dry cleaning, wet cleaning, spray and wipe, foam cleaning, abrasive cleaning, and immersion cleaning. With all these techniques we are surely to get your homes contents back to its pre loss condition. If you need help or have questions give us a call at 715-643-7171. Yes you read it correctly, at SERVPRO of Barron, Dunn, & Rusk Counties we offer 24/7 emergency services. This includes emergency board up services if you sustain damage that may need to be done to prevent further damage to your home or business and its contents. 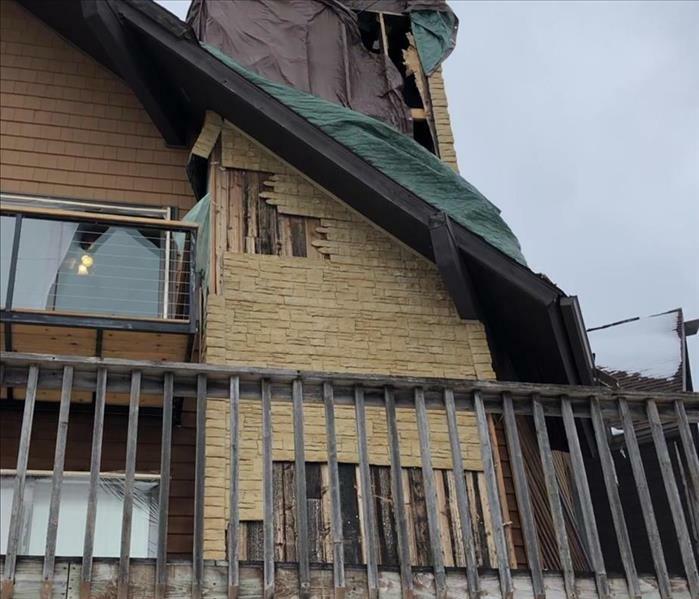 Our team will come out whether it is a storm, fire, or water damage emergency and scope the property to help our customer in the time of need. With our maintenance cleaning we reduce business interruptions and recovery costs with around-the-clock restoration services built with you in mind. At SERVPRO of Barron, Dunn & Rusk Counties our fire restorataion is detailed process from the moment you call to the final day we leave your home we will be there for you. Here is a sampling of events that could take place at a fire loss. Pretesting- we will start the cleaning and restoration process by pretesting to determine which processes to utilize and allow the customer to preview the results. Contents claim inventory service- by utilizing Contents Claim Inventory Service(CCIS) technology, we can generate comprehensive room-by-room inventories. Contents are then categorized by salvageable or non-salvageable and questionable, allowing for easier contents settlement. Cleaning and Restoration- all restorable structure and contents will be cleaned and deodorized to preloss condition in most cases. We can even provide emergency cleaning of contents the customer will need immediately. Move Outs- If relocation is necessary due to extensive damage, we are trained to properly move out and control the inventor contents throughout the cleaning, restoration and deodorization. Please give SERPVRO of Barron, Dunn & Rusk Counties a call at 715-643-7171. Some of our crew at WRT training with the IICRC! "Moisture control is the key to mold control. When water leaks or spills occur indoors-act promptly, a prompt response(within 24-48 hours) and thorough cleanup , drying, and removal of water damaged materials will prevent or limit mold growth." At SERVPRO of Barron, Dunn & Rusk Counties we can identify whether a mold is harmful to you or if it is something that you can take care of yourself. Give us a call at 715-643-7171. Managing Mold in your Colfax home! Mold can be ordinary to unhealthy, let SERVPRO of Barron, Dunn & Rusk Counties be the one to determine that. We are trained professionals that handle water damages every day and know prompt action is required to prevent mold growth. If there is an ongoing moisture problem in your home be alert for the presence of visible mold or strong musty odors. The ordinary mold can occur naturally in the environment, some can be fine as some can become unhealthy. If the humidity level and moisture levels in a water-damaged environment are not promptly returned to normal, mold spores may grow and multiply. Give us a call at 715-643-7171 to let us identify whether or not you have a mold issue that you need the trained professionals to handle or if it is something you can clean yourself. 4/9/2019 - Are you prepared in Dunn County? 4/4/2019 - Barron County Emergency Ready Program? 2/13/2019 - Menomonie area commercial needs? 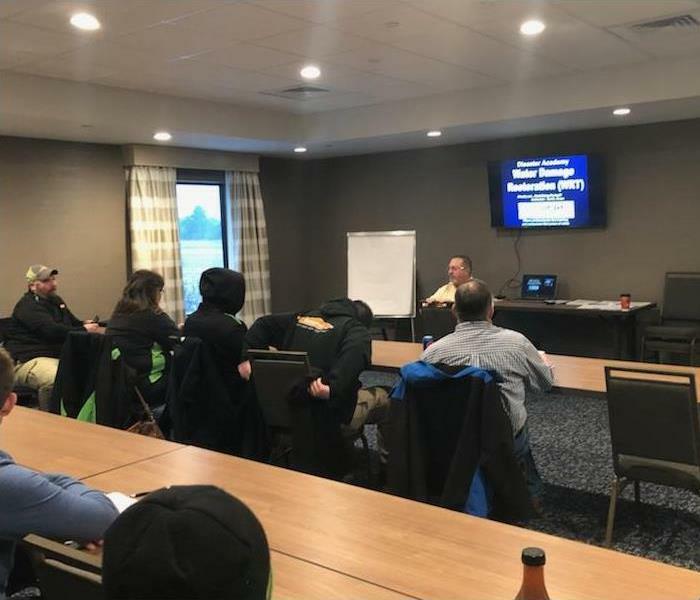 2/13/2019 - Managing Mold in your Colfax home!